Schools and Museums: Can Museums Teach Content to School Groups? A few people have responded to my recent post Goals for Students to suggest that history museums are likely to focus on content rather than more general skills and understandings (see Anne Dealy’s comment on Goals for Students; others have responded privately). The implication is that school visitors to history museums expect are more likely to expect to leave having learned factual content, as compared to visitors at other types of museums. This may be true. But is it a realistic goal for a single visit? This post continues the discussion about school visit goals by looking more closely at the experience of visitors in the history museum context, and the realities of teaching content. History museums fall into at least two categories: the historic house, and the exhibition which constitutes a collection of objects. 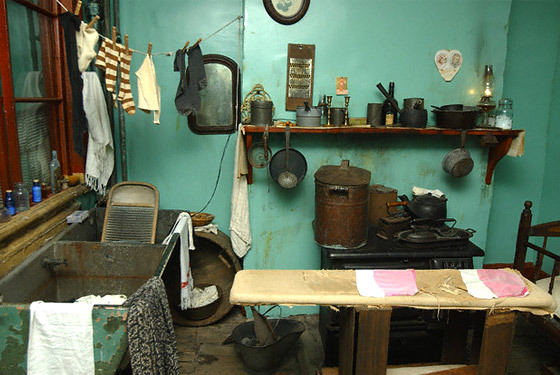 The Lower East Side Tenement Museum is an example of the “historic house” model. Visitors to the Tenement Museum are led through the museum’s primary artifact, 97 Orchard Street. Within this historic building a number of apartments have been reconstructed to look the way they might have 100 years ago (plus or minus 20 years), in order to tell the stories of the families who lived there. The experience – like that at many historic houses – is immersive, by which I mean visitors physically enter another time period. This immersion helps visitors understand what it might have been like to live in that time and place. The impact of the Tenement Museum is not to teach the big-picture history so often taught in schools – the dates of wars or economic crises, the names of Presidents or Governors – but to offer visitors a glimpse into daily life in the past. And, ultimately, the goal (or at least, a goal) is for visitors to understand how prejudice, government policies, and economics impact newcomers to this country, both past and present. I would argue that visitors to the Tenement Museum are not learning a great deal of factual content. Rather, they are gaining an understanding that is as much about feeling as it is about fact. I would also argue that the immersive, sensory nature of tours at the Tenement Museum and similar museums makes them essential for any student group learning about late nineteenth and early twentieth century immigration. In contrast, however, I would guess that this experience means little to a school group that is not studying immigration or turn-of-the-century American history, and that tours of historic spaces in general are productive in teaching history only when offered in the context of a larger body of knowledge. A few months ago I observed a second grade class touring life-sized replicas of the Nina and Pinta, two of Christopher Columbus’s ships, docked at the time In Peoria’s harbor. After the visit, I asked a number of students what they had learned. They thought the cannons were cool. Other than that, they had learned very little. To a large extent, this lack of impact was the fault of the tour guides, who did not have a clear sense of what they wanted to teach, or training in age-appropriate pedagogical strategies. But, equally importantly, the students had little or no context in which to understand the history presented. How could they understand what it was like to live on a ship in the fifteenth century, when they didn’t know what it was like to live on land in the fifteenth century? How could they imagine the decisions Christopher Columbus had to make on board that ship without understanding anything about the history of exploration or the science of navigation? The second type of history museum collects and curates objects into displays intended to illuminate historical moments. I grew up in Washington, DC, and visited the National Museum of American History with both classmates and my family. 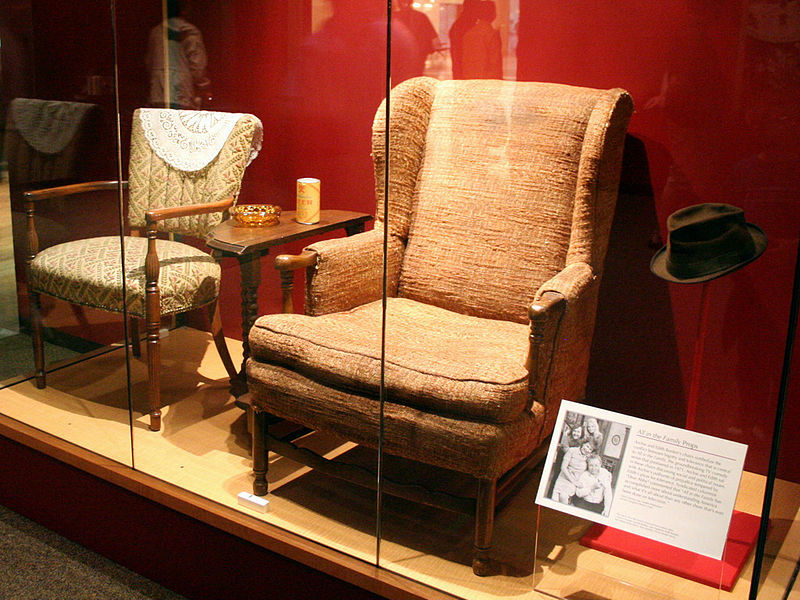 I remember the pendulum, the tattered American flag, a room filled with the dresses worn by First Ladies to their husbands’ Inaugurations, and cases filled with television and movie memorabilia: Archie Bunker’s chair, Dorothy’s ruby slippers. My response, and I think that of many of my peers, was often, “Wow, that’s cool!” I could have watched the pendulum for hours, but I had (and still have) no idea how it relates to the history of the United States. I know the flag was old, but it did not contribute to my understanding of any historical moment or the development of American symbols. And I loved the film and television cases, because I recognized them, and it was amazing to see familiar and famous objects in real life. These responses are typical: often people go to museums for the “wow” factor, to see the real, original objects represented on television or in history books. As Daniel Willingham suggested in a recent interview, these visits serve to excite students, and to make them want to learn more. In a recent post, Andrea Jones described “Fight for your Rights,” a tour at the Atlanta History Center about the Freedom Riders. This tour engages students in dramatic re-enactment; the intent is for participants to understand that there are multiple responses to a single question or situation, and begin to develop tools for answering these questions for themselves. I imagine that if a group arrives for this tour already knowledgeable about the Civil Rights movement they might learn information that they can connect with this prior knowledge, which will deepen their understanding: Who became a Freedom Rider, what the Freedom Riders were trying to achieve, what challenges they faced. For a group arriving with historical context, teaching content is a useful and appropriate goal. Another group might not have not studied the Civil Rights movement before the tour. 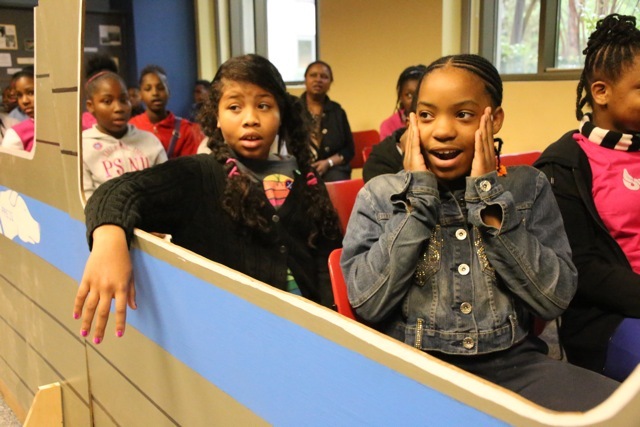 Students might leave this tour with questions about the Civil Rights movement. Perhaps the teacher helps guide them to appropriate books, or the Eyes on the Prize documentary series, or brings in classroom speakers with first-hand experience of the Civil Rights movement. In this case, the museum visit may not teach content directly, but will lead to content acquisition. An appropriate goal for this group is to spark curiosity and interest. But often neither of these things happen. Perhaps a teacher feels she needs to dedicate classroom hours to preparing students for standardized tests, but books a museum visit as a break from the drudgery of this classroom work. Or the teacher spends social studies time studying the space race and the moon landing, and linking to the science curriculum, but visits the history museum because it is a grade-wide trip organized by another teacher. Or the teacher had planned to get to the Civil Rights era by April but they are still studying World War II, and never get past the 1950s in that year’s social studies class. Or a teacher has focused on the biography of Martin Luther King, not realizing that the tour would cover entirely different material. In these instances, a tour with the primary goal of teaching content is futile. For this group, the museum can offer the “wow” factor. And it can set goals apart (but possibly similar to) from the curriculum: Teaching skills related to those needed by historians, such as question posing and critical thinking. Teaching students to be independent museum goers. Engaging students in learning about themselves by considering what they would have done in a given situation, or thinking about what they are drawn to or curious about. Content can only be taught effectively in partnership with classroom teachers. If museums want to teach content, than they – we – need to find better ways to partner with teachers, and ensure that the work of the classroom and the work of the tour are directly connected. We need to communicate regularly with teachers, either about the work they are doing in the classroom or by offering support for them in guiding their students’ experiences in the museum themselves. When a teacher who is not engaged in a deep partnership with the museum, or who we do not have the resources to communicate with weekly, books a tour, we should offer experiences that we know will have impact regardless of what is happening in the classroom. January 26, 2015 in Exploration: Schools and Museums. Do you think it also has to do with teaching methods at the museum? The Tenement Museum uses storytelling, which I’ve found to be essential in teaching the “feeling” you mention. Time and time again, we’ve proven storytelling to be an essential element of learning and speaking – take http://significantobjects.com/ for example – yet on occasion educators either forget or don’t use it to it’s full potential or don’t think about stops/objects as amazing opportunities to use storytelling as a teaching method. I agree that teachers need to collaborate with museums if they want the goal to be content. I also like the idea of a stand alone learning/experience for students…both require quick thinking, flexibility and assessment by the educator and communication by the teacher/museum. I agree that storytelling is an excellent tool for soliciting sympathy and empathy. As with other tools or strategies, it needs to be implemented well, which I believe includes being vivid and evoking multiple senses (smell, noises, etc). And it also needs to be relevant – I know you’re not a theme fan, but storytelling should support the main ideas of the tour. I am an Assistant Curator at a Museum in Canada and was an Educator/Historical Interpreter/Education Interpreter (I took on many roles) prior to that. When writing educational programming it is standard practice for Museums here to follow the curriculum of the school boards and they are easily accessible via websites for the different provinces. We are constantly looking to the schools for guidance and are in contact with liaisons, we even hold curriculum days for teachers in order to send them through our programmes before the students come in order to gain their input and change things accordingly. Sometimes we even hold testing days with local schools that are able to walk to our locations and spend a day going over material, at no charge to the school. The students learn and we are able to really engage with them and get their input, straight from the horses mouths, it is a great opportunity for everyone. We also follow a standard practice of cross-curricular programming where several ideas that branch social studies, science and language for instance (or a different combination) are happening within one visit. Usually our visits are broken down into tour, group activity and possibly a hands-on cooking demonstration (for those historic homes, for example). Our curriculum focuses on the “BIG IDEA” and so having the students thinking critically and working out problems is integrated into all aspects including the tour. We work very diligently at not talking at our students but engaging them in conversation. We also have peer mentoring groups for Museum Educators to help in this area, as well in many others. Educational programming in Museums is a very complicated matter and dialogue between the Museum and the teachers/teaching assistants is absolutely essential. It is the only way to make the visit worthwhile to everyone. These strategies sound great. I would be curious, though, whether you have ever done a study to see if students remember content learned during the field trip (as opposed to reinforced by the field trip) a month or so later? I know many educators will start programs by asking the teacher how much subject background has been covered in the classroom, and then tailor the program to that group’s level of knowledge. What I’ve learned from the evaluations we receive from our visiting teachers is that the majority of them expect their students to leave with a deeper understanding of the topic covered, and an enhanced learning experience—but not necessarily new content. Regardless of where that classroom is in teaching the content, these teachers come in looking for that “wow” factor as an addition to what they’re already teaching. And for the most part, we deliver what each teacher needs. I wonder at what point museums need to stop tailoring content when it is such a common variable. For museums serving hundreds of classrooms each year, how practical and sustainable is it to tailor each tour to the content which that class needs? Instead, what more can museum educators do to empower classroom teachers to use the exhibits in ways that are most beneficial to them? Margaret, I think your point is an important one – tailoring tours is labor intensive. It can work well, but then museums need to acknowledge (and allow for and pay for) the time that goes into these experiences. If the classroom teachers were comfortable leading tours – were familiar with the museum and material, and had museum education training – this would be ideal. Jody Madell’s post gives an excellent example of this! What a great post! I’m a strong believer that programs should support critical and historical thinking skill, museum literacy, and visual literacy. – Compare and contrast past and present. – Comprehend and evaluate multiple perspectives and past choices. First, these goals are easier to evaluate. I can observe a tour in action, and if, for example, I hear a student comparing the muted tones and intricate script of an old map to the flashy colors and computer generated text of google maps, then I know that the first two goals are being met on this tour (at least to some extent). As an observer, I know if a student is expressing and supporting their own perspective because I can hear them doing so. It’s hard to know if a student really learned and internalized a certain fact, that would require a pre- and post-test (either taking time away from the gallery tour, or the teachers classroom time). I will also note, that our program goals (and similar goals that focus on critical thinking) actually align quite well with the “Characteristics of Students who are Career and College Ready ” as outlined by the Common Core State Standards. I wonder how much of the issue here is expectations on the part of the classroom teacher as well as the museum educator. Museum educators expect the teachers to book field trips that relate to curriculum, but not necessarily cover content. But how are we communicating that to teachers? Are our on-line and in-print brochures clear enough? Are teachers getting the message? And are teachers expecting museum educators to teach content because of the nature history museums being about story and history/content rather than art, which (in their perception perhaps) is a “special” that kids go out to? Claudia – first, apologies for taking so long to respond to this comment! Second, your comment highlights a really important issue: If teachers are expecting museums to in some way to collaborate in teaching content, we need much better communication. Which leads to the question – is this even feasible? This is a great post! When I was developing interdisciplinary art/history school programs for a museum, I struggled to find appropriate and realistic field trip goals in light of expectations from other museum staff and classroom teachers. I was the first educator at the museum, and I found that other museum staff expected students to “learn things.” They had previously relied on communicating trivia about the topic in an entertaining way. On the other hand, I had a very hard time uncovering classroom teachers’ goals for bringing their class to the museum. Classroom teachers are, understandably, busy and didn’t have much interest in ongoing communication with the museum. Often a field trip was just “something to do” and they didn’t have strong feelings about what we did with their students. I’d love to know how other museum educators help their community understand the range of educational experiences they can offer? And how have others successfully engaged classroom teachers in program development? Rebecca, I think you’re right about the value of museums working with teachers. What I question is the true objective of a field trip. For me, I think there is a fine line between working with teachers, and becoming part of the “school industrial complex,” if I may be so inflammatory. In my opinion, many museums have become so blinded by becoming a vehicle for checking off state or national standards that they sometimes lose sight of their true potential as institutions of informal learning — as outsiders. Should students be able to retain certain facts by the end of a field trip? I’m going to go out of a very thin limb here to say, No. Facts are useful to learn in the service of bigger goals, but should not be the at the center. We live in a world where facts can be looked up any time, anywhere. We can be more than that. I believe our job is to instill wonder, to spark curiosity, to reveal the complexity of a world outside of multiple choice tests, and to teach our future generations how to see each other’s perspectives. I would venture to say that these are curricular goals of very few, if any school systems (individual teachers not withstanding). What I envision is a world where museums lead the way (because we exist outside of the highly regulated world of formal education) and school systems follow — not the other way around. Idealistic, yes. But someone has to be. I advocate that museums create field trips that dig in deep into the meatier human matters that keep us all wondering and exploring. Our tours may ostensibly cover an era or a certain moment in history — but it’s MORE about the big questions that transcend particular content: What is the price of progress? Is “justice for all” possible? Can an individual make a difference? When is violence justified? Make the field trip about this, and teachers will come. Because most teachers know (despite what they are required to teach) that true learning is about the questions, not the answers.